The US manufacturer of high-quality lapping and honing machines has grown rapidly in recent years. Through various company acquisitions from the machine sector, a conglomerate of different logos, machine colors and forms emerged. A uniform external representation is no longer visible. The task of IWS is the adaptation of all companies under a common CI / CD as well as the unification of the machine colors and the joint corporate image to the outside. This takes into account that new companies are constantly being acquired and have to be integrated – even if not all of the takeovers are affected by lapping and honing. The Italian manufacturer of high-quality laser systems developes the German market region by region. The task of IWS is the definition and qualification auf target addresses, starting in southern Germany with phone marketing. Goal will be appointments for the personal presentation of the different classified laser systems at potential customers from different branches. 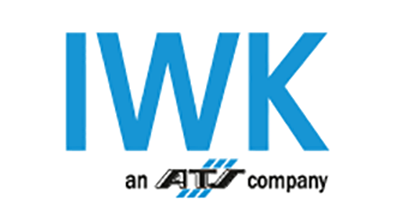 Packaging machine manufacturer IWK is impressed by IWS. The release from an international company demand required a separate CI/CD, a new Internet presence and the creation of documentation and measurement concepts. Today IWK is part of the international ATS Automation from Canada. aggreko, the world’s leading provider of rental cooling and rental energydevices decides to cooperate with IWS. The pragmatic approach in the presented concept for the support in the coming years convinced. IWS will adapt international campaigns for the German market and develop and launch measures specifically tailored to D / A / CH. Otto Warncke Werksvertretungen KG decides for IWS as creative partner. The company offers high-precison machines of leading manufacturers in Germany and Switzerland. IWS could convince due to the comprehensive market and technology know-how as well as with creative proposals for an unified brand identity, a new CI/CD as well as new documentations and a web re-launch. 1000 Quadratmeter Messestand und ein neues, aktualisiertes Lieferprogramm als Katalog für alle beteiligten Herstellerwerke – IWS hat beides neu konzipiert und gestaltet. Die EMO ist die wichtigste internationale Messe für den Maschinenbau weltweit. The Strukturgeber GmbH, Hamburg, decides for IWS as a creative donator of ideas. The consulting company supports and coaches business owners and executives for finding an optimum in structures for more efficient business. Our first project together is the exhibition phase:2 in Hamburg, end of September, followed by activities for customer loyalty, acquisition and information. Read and learn more at www.strukturgeber.de about the success story called the three phases. RIEDEL Kältetechnik, ein Tochterunternehmen der Glen Dimplex Deutschland GmbH, Kulmbach, entscheidet sich für die Zusammenarbeit mit IWS. RIEDEL zählt zu den weltweit führenden Herstellern und Lieferanten von Kühlaggregaten für industrielle und gewerbliche Kälte. Die individuellen Lösungen, aufbauend auf zigtausendfach erprobten Kältekomponenten, setzen Maßstäbe an Innovation und Zuverlässigkeit. IWS wurde beauftragt, die Dokumentationen für verschiedene RIEDEL-Geschäftsbereiche zu optimieren sowie die Konzeption und Gestaltung des Messeauftritts auf der Euroblech 2012 zu übernehmen. Wie wichtig ein einheitliches CI ist, hat akquinet erkannt. Zu schnelles Wachsen und zahlreiche neue Gesellschaften in der Unternehmensgruppe führten ebenso schnell zu ‚Wildwuchs’ in der Außendarstellung. IWS schuf den neuen Auftritt des IT-Dienstleisters und konzipierte die technischen Dokumentationen sowie einen einheitlichen Messeauftritt. Kamstrup from Skanderborg in Denmark decides for IWS as a creative supplier of ideas. The leading manufacturer of HighTech meters for heat, cold, water and gas was searching for a specialised b2b agency in Germany for developing this important market. We are glad about the challenge and the excellent cooperation, that has started with the Kamstrup marketing team! Product Group Manager Heat & Cooling Meters, Søren Lang: I hardly never worked together with someone with your speed, dedication and experience.